For a limited time, get our Judging System at NO CHARGE! Email us at info@chariotz.com to find out how. These problems end up frustrating everyone involved – you, the car owners, the judges, the announcers – and negatively affect your show’s reputation. We have been to many shows where the car owners simply drove away before the trophy presentation, because they felt that their cars were not judged properly, the presentation was severely delayed, or they lost faith in the organizers’ ability to run a fair and timely judging process. Show attendees also all but disappeared before the presentation because of the delays. A negative experience for car owners and attendees hurts the reputation of the show, and adversely affects future attendance numbers. 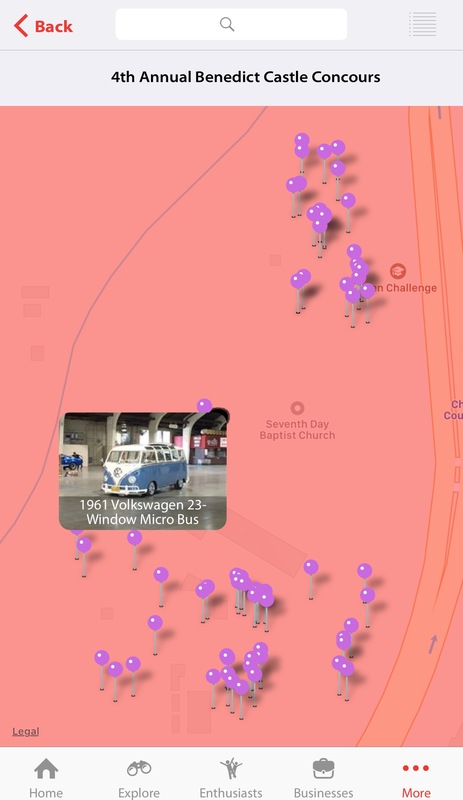 Associating the car to the specific car show, either by clicking on the “Add Display Vehicle to this Event” button on the show’s page, or by selecting the show in the “Select Event Where You Will be Displaying This Vehicle” during the upload process. The CHARIOTZ Judging System transformed the Benedict Castle Concours by giving the organizers a simple and accurate judging process, while also significantly increasing attendee engagement. No more fumbling with car judging sheets, no more running after judges to collect those sheets, no more cars being missed, and no more hurried manual and error-prone totaling of scores! Learn more about setting up and using the system HERE. Email us today at info@chariotz.com to get started. 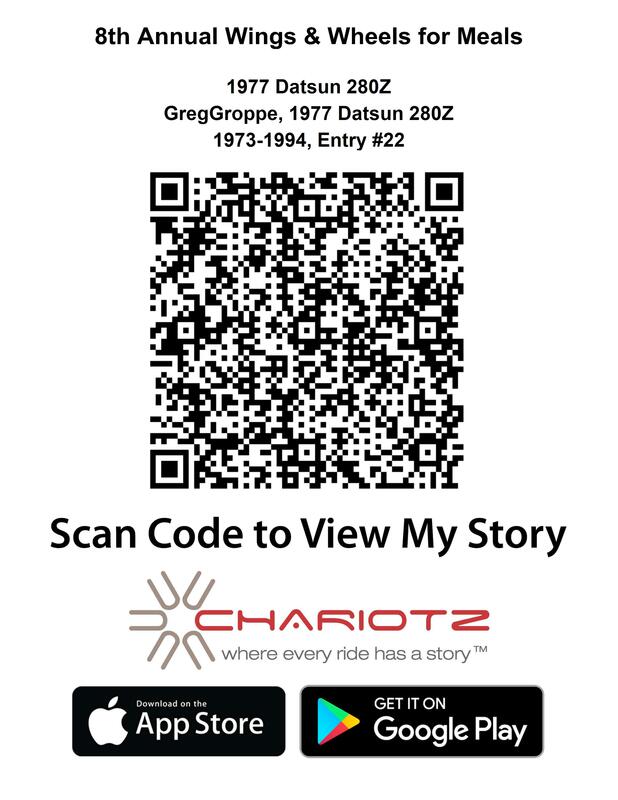 Here is a short video on how our patent-pending QR Code Technology enables car owners to tell the stories behind their cars to judges and show attendees. We showcased our innovative Car Show Judging System and App at the 4th Annual Benedict Castle Concours in Riverside, California on March 26th, 2017. The show, run by Teen Challenge of Southern California, had over 200 cars and trucks from all genres of the car hobby, divided into 26 judging classes, and spread across a large area. The show organizers ran the entire judging process through our system. 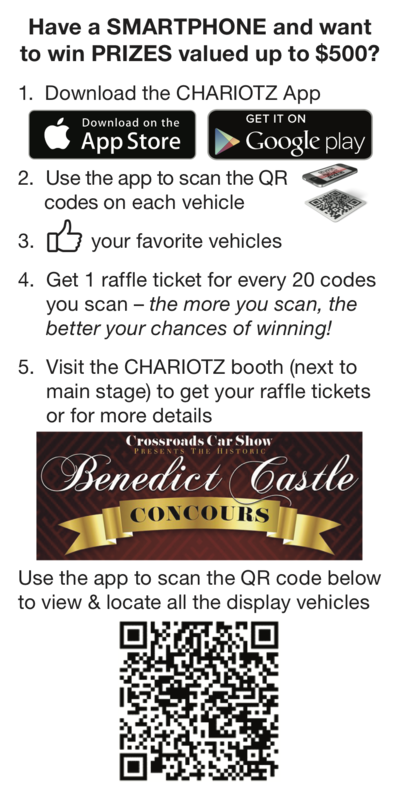 Below is a handout that all Benedict Castle Concours attendees received, which enabled them to view all the vehicles being displayed at the show, and then vote for their favorite ones and win prizes. See the display vehicles HERE.